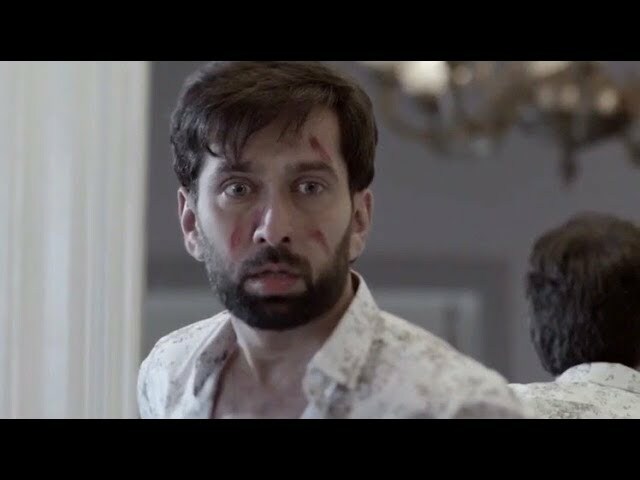 Ishqbaaz: Shivay’s shocking reaction on a mysterious death.. Mohit and Nancy make sure that they corner Shivay after the masquerade party. Nancy gets spotted with Shivay. Tej witnesses their conversation. Shivay tries to reach Anika and express his feelings. To his shock, he loses out to his enemy’s plan and finds himself struck with a big tragedy. Shivay goes to check for Anika. He sees Nancy’s shameless act once again. He tells he that he will expose her to Mohit. He wants to show her true face to Mohit. Nancy doesn’t deter. She is hell bent to get Shivay. Shivay falls asleep. He gets a huge shock when he wakes up in the morning with a hangover, and finds blood all over his clothes. He finds Nancy murdered, and wonders what happened last night. He gets worried that everyone will blame him for the murder. He doesn’t know who is trying to frame him. He tried hard to recollect the culprit. He sees Anika coming to the room and locks up the door. Anika comes to wake up him. He doesn’t respond, which worries her. She asks him to open the door. He doesn’t know how to cover up everything. He is sure that everyone will suspect him. He tries to find the answers himself. He changes his clothes in his panicking clothes. Omkara and Rudra ask Shivay to come for breakfast. Shivay lies to them about a conference call. He doesn’t want to get trapped in the murder blame. He gets confronted by Mohit, who insists him to have a talk in his room. Shivay gets worried and asks Mohit to let him go for his meeting. Everyone finds Shivay’s behavior strange. Omkara and Rudra tell Anika about Shivay’ deadly anger. Shivay tries to make a leave so that he can find some way to get saved from the murder blame. Anika enters the room and gets to see Nancy’s dead body. She screams and calls the entire family there. Everyone gets a big shock on seeing Nancy dead. They don’t get any answers, since Shivay runs out of the house to get answers himself. Shivay remembers that Nancy came to his room. He feels depressed. He doesn’t know what to answer Mohit. Omkara and Rudra call up Shivay to know the truth. They worry to answer Mohit. Mohit lands up there and asks them what are they hiding. Omkara tries to hide, but Mohit too faces the truth. He finds Nancy dead and goes through the shocking sorrow. Tej asks them to call the police and report the murder case. Shivay runs like a coward. He realizes that he can’t run away and has to face the situation. He wants to face Mohit and family, and tell them that he is innocent. Shivay returns home to take up the responsibility of his family in such a tough phase. He faces Mohit. He tells Mohit that he didn’t do anything. He wants Mohit to show him the same faith like before. Tej tells Shivay that he has informed the police. 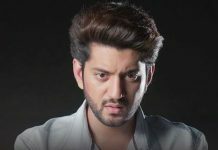 Mohit blames Shivay for murdering Nancy. Shivay gets shattered with the blames. Mohit wants Shivay to get punished for the crime. Shivay gets trapped in the murder case, while the mystery opens up and culprit is yet to be caught.